So what is Business Credit? And how does it work? Business Credit, sometimes referred to as Trade Credit, is credit that is established under a business’s name. Business credit permits a business owner to use their business credit profile and score for financing instead of their personal credit score profile. One of the reasons business credit is so appealing is that business owners can commonly qualify with no personal-guarantee (PG). This means Indiana business owners can access cash for their businesses without the personal liability. Another reason business credit is a great resource for Indianapolis business owners is that there is no personal credit check with many sources. So, even Indiana business owners with challenged credit can be approved for thousands of dollars of credit for their Indiana businesses. To qualify for most business credit sources the business must have a positive credit score established with the appropriate business credit reporting agencies. The two most commonly used business credit scores are the Paydex score from Dun and Brad Street and the Intelliscore from Experian. Once a positive business credit score is established, many merchants will then approve the business owner for credit in the business’s name only. Thousands of major merchants offer business credit. But most don’t promote their business credit programs, so they are difficult to locate. Some merchants offering business credit include Chevron, Dell, Staples, and Lowes. 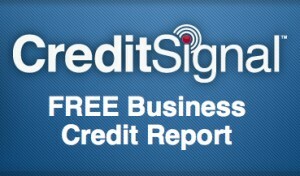 Once business credit is established and paid-as-agreed the business credit scores will continue to increase. As more positive credit history is established and scores increase, business owners can then be approved for even more credit with higher credit limits. Business credit is an outstanding resource for all Indiana small businesses. Owners can obtain credit to run and expand their businesses without the personal liability of using a personal guarantee. InCreditable Advisors of Indianapolis, Indiana specializes in helping Small Indiana business owners establish excellent business credit scores and then leverage those scores to access cash and credit for their Indiana businesses. InCreditable Advisors is also the mastermind behind the release of the exclusive Small Business Credit and Funding Suite. The Small Business Credit and Funding Suite is the leading business credit access system in the world today. For more information on Indiana small business credit scoring, and how to build business credit, visit www.creditindy.com or call us at 317.837.4969 or toll free 855.445.9636.